Lively, action-packed, and loaded with mordant wit, Working Stiff offers a firsthand account of daily life in one of America's most arduous professions. 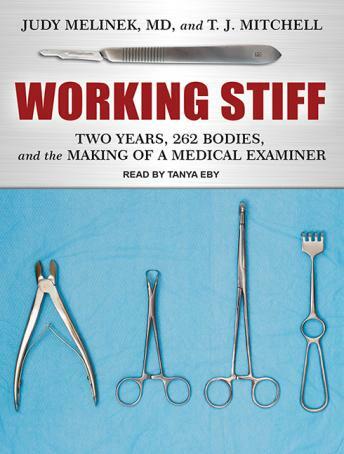 The body never lies-and through the murders, accidents, and suicides that land on her table, Dr. Melinek lays bare the truth behind the glamorized depictions of autopsy work to reveal the secret story of the real morgue. I love true crime and I listen to the Sword and Scale podcast all the time. Judy was on an episode so I thought I would check out her book. I loved it! This is a thrilling inside look at what a ME's life is like and it's super interesting.